Knight at the opera: Sir Bryn Terfel’s amazing year | News by Wales Express News, People Before Profit! 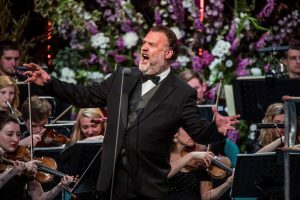 Sir Bryn Terfel has described how being knighted by the Queen was one of the proudest days of his life – along with the birth of his first daughter. The globally renowned bass baritone was speaking ahead of his appearance at Llangollen International Musical Eisteddfod where he’ll be starring in a special production of the classic opera Tosca on Tuesday, July 4. He revealed he even persuaded Buckingham Palace to give him an extra ticket so that his three sons and his fiancee Hannah Stone could all attend the ceremony. According to Sir Bryn, returning to one of his favourite venues to perform one of his favourite roles, the unscrupulous police chief Baron Scarpia in Tosca, was the “icing on the cake in what has been an amazing year”. He said: “It’s been such a roller coaster since I turned 50, so much has happened and it’s been wonderful, I’m a very lucky man. “Going to Buckingham palace to be knighted by Her Majesty the Queen was just wonderful. To be in the company of so many tremendous public servants, sports stars and entertainers who were also being honoured that day, was humbling and just such a proud, proud day. “It was one of the proudest days of my life if I’m honest. It’s something that’s not supposed to happen to a lad from Pant Glas, Caernarfonshire. “I received a letter from the Palace and three guest invitations. I called the palace and asked if it was at all possible I could have four invitations so I could take my three sons and Hannah and thankfully they agreed without hesitation. It was such a fabulous day. Sir Bryn says he can’t wait to perform with two other world-class opera stars, soprano Kristine Opolais and tenor Kristian Benedikt in the operatic tale of love, lust and intrigue. The concert is being sponsored by the arts-loving care organisation, Pendine Park, whose owners, Mario and Gill Kreft, are close friends. Later in the week on Thursday, July 6, Sir Bryn and Pendine Park will be joining forces again as sponsors of the Voice of the Future Competition to find the world’s best young singers when the finalists will be competing for the Pendine Trophy and a cheque for £6,000. Sir Bryn said: “I always enjoy the Llangollen International Music Festival. It’s always a favourite festival and I’m always delighted to be asked to perform on that wonderful Llangollen stage. “Tosca, as many other Eisteddfod past concerts, is sponsored by Pendine Park and Mario and Gill have become close friends over the years, they are incredible human beings and deserve huge credit for the work they do supporting the arts. He added: “I want the Llangollen audience to also appreciate the young Welsh singers in the cast, baritone Steffan Lloyd Owen, who plays the jailer, and tenor, Elgan Llŷr Thomas, who plays Spoletta. “I know the role of the Shepherd Boy is going to be played by 11-year-old, Joseph Elwy Jones. I’m really looking forward to hearing him sing. “He sounds an incredible young man having overcome some ill health in the past and I’m delighted we can still unearth such amazing talent in North Wales. Pendine Park proprietor Mario Kreft MBE said: “Sir Bryn Terfel is the best of the best and to have him appear at Llangollen once again is the perfect way for to celebrate the 70th anniversary of this amazing festival where Wales meets the world. “We’re also delighted to be teaming up with the Sir Bryn Terfel Foundation to support the International Voice of the Future because we are passionate about nurturing young talent. “The arts in general and music in particular are the golden threads running through everything we do at Pendine Park because of how they help enrich the lives of not only our residents but our staff too. 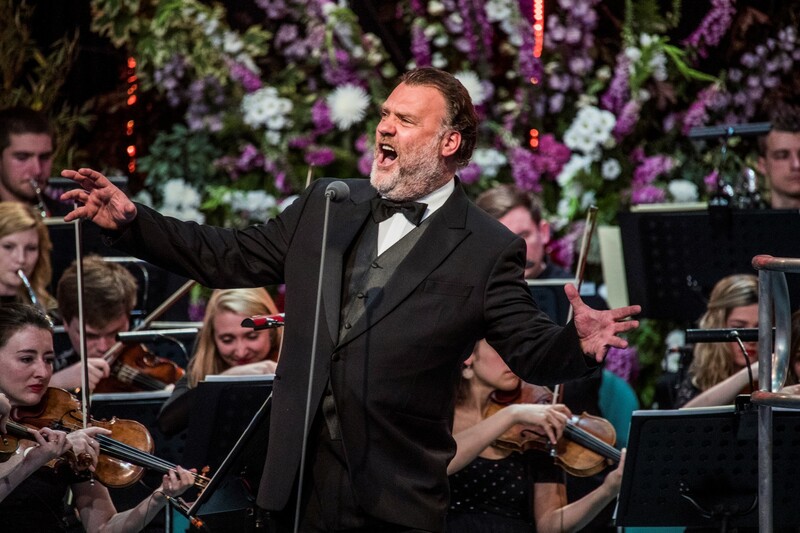 The festival’s music director, Eilir Owen Griffiths, is thrilled Sir Bryn Terfel is once again gracing the festival’s stage. He said: “This is my final Eisteddfod as music director as I’m standing down after six years in the role and to have a concert performance of Tosca starring Sir Bryn and soprano Kristine Opolais is going to be the highlight of what will be an emotional week for me. “The cast that has been put together for this concert performance is spectacular and this is going to be an evening of music and performance not to be missed.